Gain some initial knowledge on what stock trading is about before you actually start trading with money. Download a stock trading simulator to get used to the system. Then, start small and start at home by trading local stocks. Typically, the prices you see for stocks represents the value of 1 stock, but stocks in Singapore are traded in lots of 100. So for instance, if you want to buy 1 lot of Stock X that is quoted at $1.50 per share, you'll need to have a minimum capital of $1.50 X 100, or $150 to pay for it. Other ways to improve your stocks literacy include reading up on it through websites such as Investopedia, or attending seminars (some of which are free!) organised by the SGX or the Securities Investors Association of Singapore (SIAS). To ensure that your broker is properly licensed, you should check that they are listed as a broker with the Monetary Authority of Singapore (MAS). Trading often involves having to deposit at least a few thousand dollars in your trading account so ensure they are properly regulated. Do note that trading shares also incurs trading fees and other charges. Enquire about them when you are opening a trading account. There are a number of online brokers that offer cheaper commission fees, but trading with them may put you at a risk. Without a physical office in Singapore, you may face some problems reaching them should you face any problems. Find out more about their reliability via online forums and user reviews before opening an account with them. To start trading stocks in Singapore, there are two accounts you will need – a stocks trading account and a central depository (CDP) securities account. The CDP is basically a place to safeguard the shares you have purchased in the local stocks market. You need to be at least 18 years old and not be an un-discharged bankrupt to open a CDP account. You can either open an account directly with CDP via their Customer Service Counters or go through the brokerages. 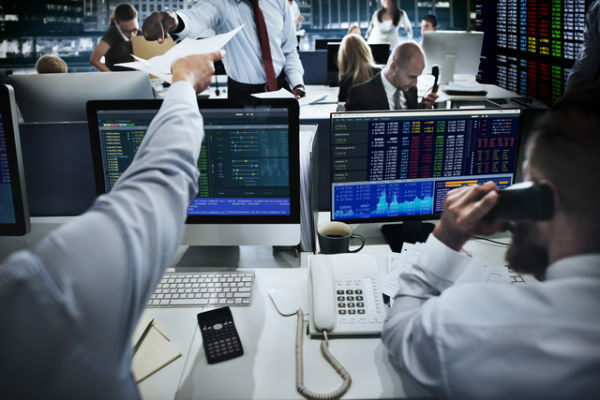 A brokerage account is an account you have with a brokerage firm that enables you to buy and sell shares. The entire process should take less than 10 working days to approve. Stock-picking is a tough one. There are so many stocks out there, so how do you pick the winning one? There is no hard and fast rule for stock-picking. But one should always start by referring to our first point – get educated. Start by picking a sector you have interest in. Then read research reports or experts' analysis on the outlook for that sector. A piece of advice that is often given to new investors is to look at the blue-chip stocks in Singapore. Investing in a blue-chip stock typically means you are investing in a company that is well-established, financially sound and has operated for many years. They are likely to be a market leader or among the top three companies in its sector. Most (although not all) blue-chips also have a record of paying stable dividends for years.